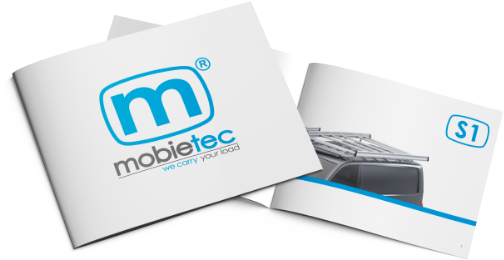 mobietec offers a wide range of durable, burglar-resistant window guards. Suitable window grills are available for all types and brands of vans, both for the sliding door and the rear doors or tailgate. The window guards are made of sheet steel with a thickness of 1.5 mm. They are foreseen with a layer of powder coating on both sides. Normally they are gray, but a different color is also possible. The grids are being attached at the inside of the window frame and do not catch the eye on the outside. From the outside, however, they make it more difficult to look into the cargo area, so your expensive cargo doesn’t attract attention. The guards keep the goods and tools safe, since they pose a bigger obstacle for the potential burglar in comparison with a regular glass window. In addition, the window grills protect your glazing from damage caused by a sliding load within. The guards are also constructed in such a way, the driver retains a good view backwards through the rear-view mirror.